My baby days are over, but I still love checking out everything babies- from celebs having them to the cutest baby fashions. So of course I was intrigued by this article I came across while browsing about of my favorite sites, LilSugar. Now I am not sure about all of these baby products that made the list, but I fell in love with this Puj Baby Portable Bathtub - I would have loved having this when my kids were babies. Hands down beats the big old plastic tub thingy I used! Not so much tugging at my ovaries was The Windi. Sorry. I am sure it does miraculous things and helps those gassy little tummies, but uh, this thing falls into my category of things that make you go hmm. Swaddling. 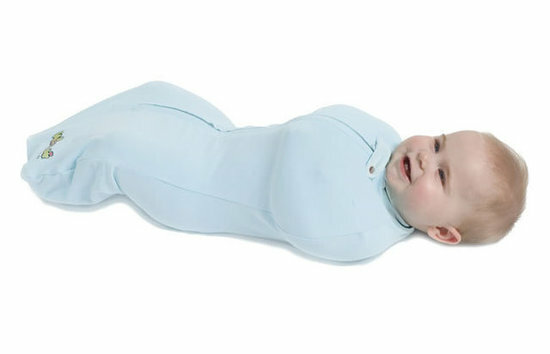 Is there a mommy out there that does not use swaddling techniques with their new babies?? This 'Woombie' might look, well, a little like a straight jacket like the article's author points out, but she also swears it really works and works well. If another baby were to magically appear in our household, I would give this thing a try. Yes, I would. I think. Want to see what else made the list? Of course you do! So go check out the article and see which item(s) tugs at your ovaries!